English lessons for Muslim mums? The prime minister’s recent announcement of £20 million to “teach thousands of Muslim women to speak English” looks like a good thing on the surface, but it adds adds another layer to a record of hypocrisy and Islamophobia. Firstly, the massive cuts to ESOL funding made by Cameron’s Coalition government that have prevented men and women of different ethnic and cultural groups from learning English. He should be reversing these, not singling out Muslim women. Secondly, to single out Muslim women in this way suggests that Muslims have some kind of cultural inadequacy. Announcing this as a contribution to preventing terrorism compounds the government discourse that implies Muslims are endemically dangerous. It will inevitably make Muslim families feel even more under siege. Sadia Habib, at Goldsmith’s College, has published this thoughtful and thought-provoking response David Cameron should celebrate Muslim women, not strip them of their identity. It carefully explains the ramifications of this latest manifestation of Islamophobia. Evidence is mounting of the counterproductive impact of the Prevent strategy and slogans such as “fundamental British values”, as predicted by speeches at last year’s NUT conference. 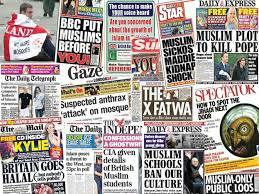 Some months ago, Aminul Hoque published a powerful account of research exposing the damage it causes: Young British Muslims alienated by ‘us versus them’ rhetoric of counter-terrorism. Teachers are placed under enormous pressure to make a report, which is making it impossible to conduct the kind of discussions in school that help shape democratic citizens. Except in cases of serious public risk, schools and youth work should be the sites for educational discussions, not police stations. This entry was posted in Social Justice, Uncategorized and tagged British values, Islamophobia, Prevent. Bookmark the permalink.